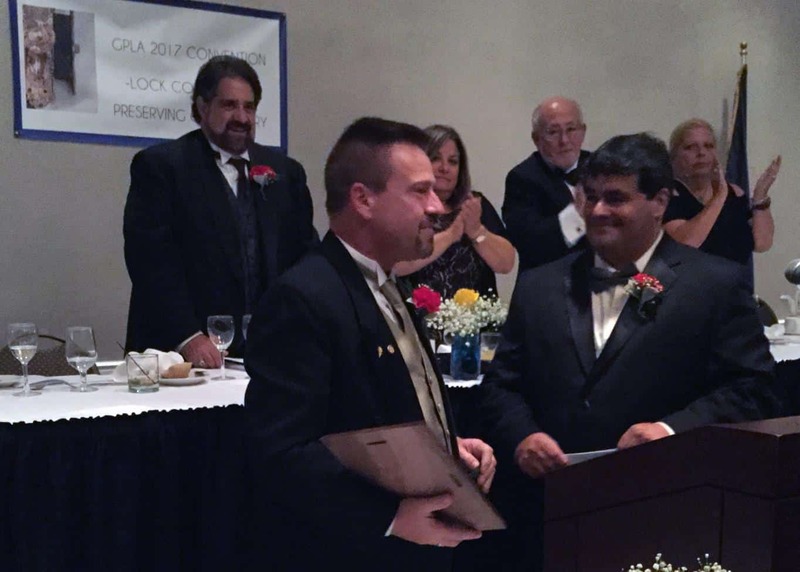 Recognizing and awarding individuals that have gone above and beyond for the locksmith industry has always been at the heart of what we do at the GPLA. Below are the four awards that the GPLA presents annually. In the formative years of organized locksmithing, it became apparent to the leaders of GPLA that there were some truly dedicated individuals throughout the trade who had devoted much time and effort to the advancement of the craft, not only in Philadelphia but around the world. Many of these leaders were identified. To recognize and inspire these individuals and those who would follow them, the “Philadelphia Award” was created. Is presented at various times and locations throughout the year to individuals who have fostered cooperation between associations. 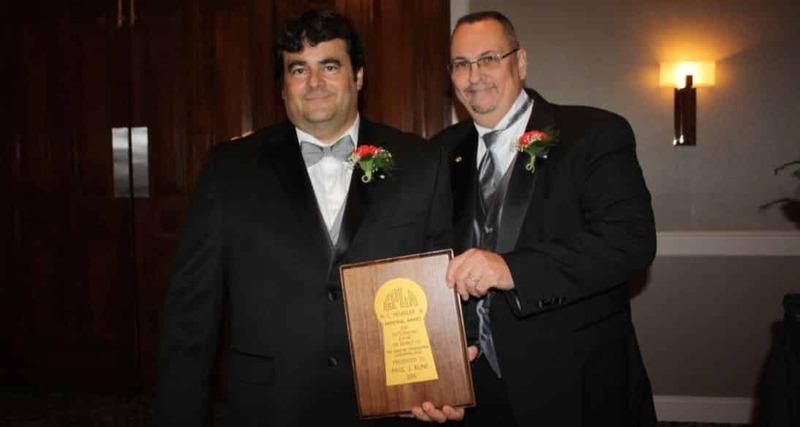 This award is reserved for Members of the Greater Philadelphia Locksmiths Association who have made exceptional contributions to the growth of our Association. Named for a founder of both GPLA and ALOA, it is the consummate expression of respect by the Association for one of its own. The Gerald J. Connelly Jr Pioneer Award. 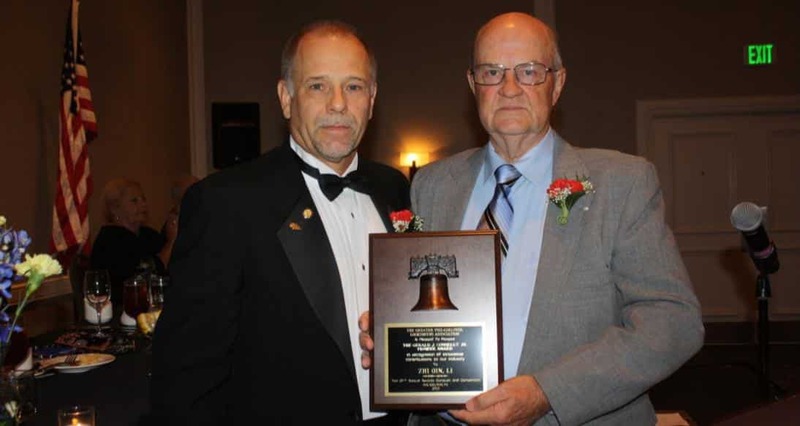 The Gerald J. Connelly Jr. Pioneer Award has been presented to organizations or persons as recognition for their professional dedication to the locksmith industry in the categories of leadership and education. The consummate expression of respect among GPLA members, the Hermann C. Henssler, Jr. Award is presented to the member who has made exceptional contributions to the growth of the association. For 2016, Ed Fitzgerald (right) presents the Henssler Award to Paul Kline. Cliff Shafer (right) presents the Gerald J. Connelly, Jr. Pioneer Award to Jim Hetchler on behalf of Zhi Qin, Li. Selected in recognition of innovative contributions to our industry, Mr. Li developed a simple tool that became the genesis for what has become a revolution in the automotive lock service industry. Unable to join us from his homeland of China, Mr Li developed a 2-in-1 tool that could both pick and decode an auto lock in one simple operation. The Lishi picks are renown as the Gold Standard in the automotive industry. Presented to the individual whose efforts and dedication truly represent the building blocks of progress for the entire industry, Bill Young (left) congratulates the 2015 Philadelphia Award recipient Don O’Shall. Long recognized as the most prestigious Worldwide Award in the Industry, it should be understood that this is not an award to be earned,’ nor is someone’s title, affluence or position within the industry the criteria by which candidates are selected. 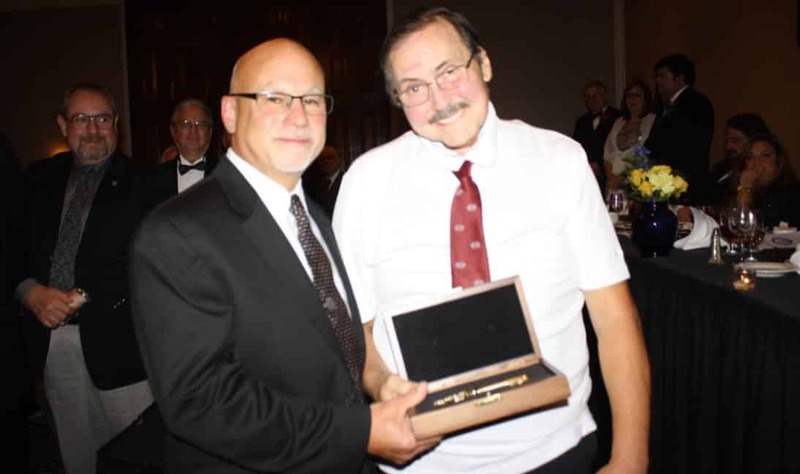 Awarded for a life-long dedication to his colleagues and the industry as a whole, please congratulate Don for being such a tremendous inspiration to not just locksmithing but life! Paul Kline presents the Hermann C. Hennsler, Jr. Award to Sven K. Hellwig Sr.